You see, there’s this thing called “Empathy.” And it’s a powerful force. When I don’t see eye-to-eye with someone, I try very hard to understand why that person feels the way he does, and why his reality is so different from mine. When I take that approach, I am usually able to comprehend the logic or at least catch a glimpse of where that person is coming from, even if I don’t agree with his or her reasoning or conclusions. Unfortunately, many people are unwilling or unable to see a problem through another person’s eyes. Maybe they are afraid that doing so will, somehow, be a tacit admission that the other person is right. Maybe they fear that conceding a point, even a small one, is tantamount to losing the debate. Or maybe they’re just afraid of being wrong. But “Empathy” is not a weakness – it’s a strength. Failing to consider a problem from the opposing point of view often leads to a stalemate and continued conflict. Refusing to make even minimal concessions or reasonable compromises only assures that competing parties will never be able to bridge the gap and resolve their differences. It can cause a small spark to become a raging fire. When two people are going through a divorce, it’s a scary and emotional time in their lives. They may wonder, “What’s going to happen to my children?” or “How can I protect the assets that I’ve worked my whole life to accumulate?” It can feel as though the ground beneath them has fallen away and they have nothing to hold onto. Fear grips them. And the fear morphs into anger. They run out and hire the meanest, toughest attorneys they can find. But they soon learn that their divorce litigation, which is an adversarial process to begin with, has only increased their fear and inflamed their anger. In this state of mind, it is hard to make concessions. It is difficult to put yourself in the shoes the other person (who, by now, may seem like an enemy). But that is exactly what you need to do. Because being able to view the situation through the eyes of that person will enable you to better understand their perspective – their fears, their insecurities, their unstated needs. And that insight, along with a willingness to make reasonable concessions, might allow you to resolve your dispute amicably, and save thousands of dollars in the process. For instance, a father going through a divorce might be afraid that the mother is trying to take his children from him. A wife who was a stay-at-home mom for many years might be afraid that she won’t be able to support herself after the divorce. By trying to understand those fears, you are better able to address the problem. Empathy also allows you control your own fear and insecurity. You are less likely to be angry with your soon-to-be ex-spouse if you understand that his/her motives are not evil. That person is just fearful, like you are. In the end, empathy enables you to comprehend the other party’s perspective, which may result in finding a solution that allows you to meet their needs without compromising your own. Gary J. Frank is an Arizona attorney and former Judge Pro Tem with over thirty years of experience in dealing with divorce, custody, parenting-time, and support issues in Family Court. 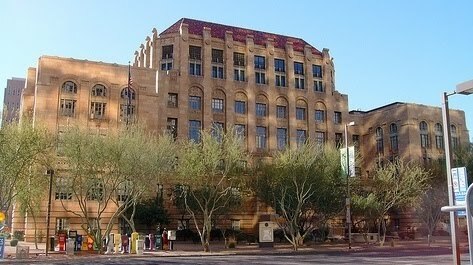 To schedule a legal consultation with Mr. Frank, you may contact us by email at gary.frank@azbar.org, or through our web site at www.garyfranklaw.com. The issues in this blog are provided for general informational purposes only and should not be relied on as legal advice in your particular case, nor should it be construed as forming an attorney-client relationship. Every Family Court case is unique. If you have a matter that appears similar to any of the scenarios that you read in this blog, you should be aware that: (1) even a slight difference in a factual situation can lead to a vastly different result; and (2) the laws are constantly changing and new laws are continually being enacted. Legal advice cannot be given without a full consideration of all relevant information relating to your individual situation. Therefore, if you have an important legal issue, you should obtain a consultation with a qualified attorney.